Well worth the wait. I started reading and I couldn’t put it down. I love your work and I can’t wait to read what comes next. Will there be another book in the Church Girls series? Thank you for your wonderful support! God’s Blessings! Great series! I can’t wait til book 5! As usual, a wonderful read. I love and have read all of your books. You are an amazing author who really knows how to captivate the audience. It is always awesome when the gifts God provides for us are used in a way that blesses others. I look forward to your future writings. I sure hope Ellie die. You did it again. This book was great, a real pafe turner. When will 5 be relwased? There has to be a Book 5. The Paxton’s story is not yet complete. Please Please Please! I really enjoy Your style of writing. 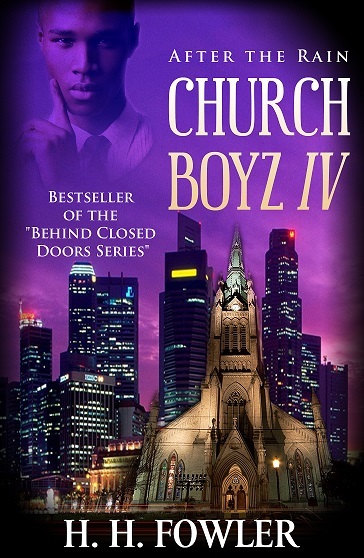 Just finished reading the church Boyz series and I thoroughly enjoyed the read. Looking forward to an addition to this series. Your work is impeccable. Let me start off by saying Church Boyz is hands down one of my favorite series. The characters are so captivating and complex i am competely amazed. After reading After The Rain, Eric and Rachel are definitely my favorite charatcers! There definitely should be a Church Boyz 5 because I want to know more about Sean, Eric and and Rachael’s story!!!! Hi my friend, thank you first of all for contacting me and letting me know how you are enjoying my work. I sincerely appreciate it. I try my endeavor to focus on character development because I believe it is one of the key components in driving a story and allowing the readers to connect emotionally to the plot. I do plan to write part 5. Actually I have started it but I can’t tell you when I’ll be able to complete it. Hopefully before the end of this year. God richest blessings be upon you and your family. This series had me spellbound I read them all in 3 days now waiting on number 5. A very intriguing plot and very true to life. Would like to know what inspired the stories. A must read. I truly love this series. I can’t wait for the next one. Next Next post: NEW RELEASES FOR DECEMBER 2014 – NOW AVAILABLE ON AMAZON!